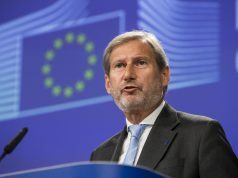 Prespa agreement should not be sacrificed for party-political reasons given it is part of the campaign for the presidential election, says the Commissioner for EU Enlargement, Johannes Hahn in the interview with Independent, writes Nezavisen.mk. He urges President Djordje Ivanov not to interfere in ongoing judicial proceedings, instructing him indirectly to forget the amnesty. According to him, it will be irresponsible if the EU does not fulfil the promises it has made for North Macedonia and its accession negotiations. “First of all, the European Commission will publish its country reports end of May. If North Macedonia keeps up its reform efforts – and I have no doubt about it – this visible progress, as well as the historic breakthrough of the Prespa-agreement, will be clearly reflected in our assessment. Following this, it is up to the Member States to take a decision, which will be hopefully positive and at the earliest possible date, i.e. at the June Council”, explains Hahn in his interview. 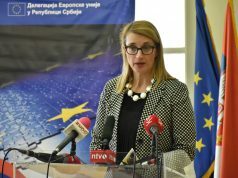 Even though there are some countries which still have reservations about North Macedonia, Hahn hopes that in the meantime Member States had the opportunity to witness that the government in Skopje is delivering on substantial reforms such as the establishment of the anti-corruption agency, in the area of judiciary where the SPO law is in process and on media freedom, just to mention three key reform priorities. “The government is also reaching out to the opposition, the civil society and to the different ethnic groups of the society which is important for a well-functioning democracy”, he points out. Talking about the accession process he underlines it cannot be a one-way street adding that EU has to take the accession process to the next stage if partner countries deliver on reforms. “The EU integration of the Western Balkans is in the Union’s very own interest: it is about creating stability, prosperity as well as democratic and inclusive societies in our immediate neighbourhood”, Hahn adds. If the EU really wants to become a global player, it has to integrate the Western Balkans and join forces in tackling common challenges such as migration, climate change and organized crime, reports Nezavisen.mk. Answering the question of why Macedonia is still in the same package with Albania Hahn explains that it is a principle of the EU accession process, as repeated in their Western Balkans strategy adopted last year, that it is assessing the countries on the basis of their individual merits. This individual progress will certainly be reflected in the country reports. He urges that the country has to keep up with the reforms until the very last and that the Presidential elections are conducted in a free and fair way. “I commend the agreement between the candidates to stick to this. I appeal to the outgoing President not to interfere with ongoing judicial procedures”, he urges. 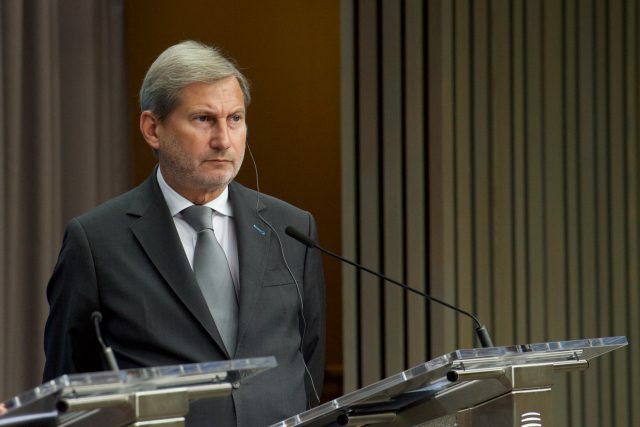 Commenting on the fact that opposition in North Macedonia refuses to implement the Prespa Agreement, promising during the campaign that they will try to change it, Hahn hopes that the agreement seen as an achievement of historic dimensions will not be sacrificed for party political reasons. “It is in the country’s interest that this achievement is irreversible as well as the reforms made in key priority areas. 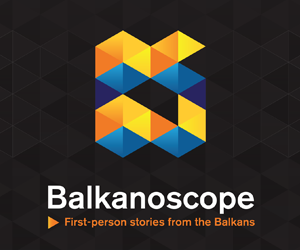 It is time for the Western Balkans political leaders to think in long-term strategic terms, i.e. what is the best for their countries and citizens instead of following party political considerations”, concludes Hahn.